Length: 7 hrs. 20 min. When all seems lost, where can hope be found? An excruciating yet beautiful road to recovery has led the Wolf family to their new normal, in which almost every moment of life is marked with the scars of that fateful April day in 2008. 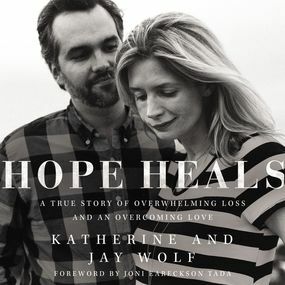 Now, eight years later, Katherine and Jay are stewarding their story of suffering, restoration, and Christ-centered hope in this broken world through their ministry Hope Heals.